Recommended for efficient stabilization and rigid immobilization of joint structures. Suitable for bandages requiring high adhesion and strong tension. 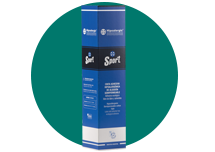 Provides support and restriction to muscle and joint injuries, as sprains and strains. Ideal for daily training and high demanding sporting activity.